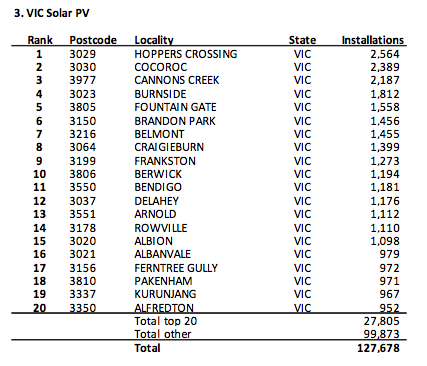 An analysis of solar systems installed in Australia October 2012 found that the suburbs with the greatest number of solar systems tended to be in outer metropolitan areas in Victoria, while in NSW they tended to be in regional areas. In Queensland, they were split between both. This page was last modified 04:32, 4 October 2012.